Mandarin Shipping’s Tim Huxley examines the city’s latest generation of owners. After a grim year for most shipbuilders, the last week of October brought some cheer to Ouhua Shipbuilding in Zhejiang province. The Tribini Tai Hang, a 2,700 teu container vessel was christened by her owners, Tribini Capital, whilst Mandarin Shipping took delivery of the Mount Gough, the third in their series of six 1,700 teu Topaz class container ships. Whilst clearly marking a good week for the shipyard, these two events were also significant in that they reflected the continued growth of two young Hong Kong-based companies and confirm yet again why Hong Kong remains a great place from which to run a shipowning business. Together with other recent arrivals on the scene such as fast-growing handysize owner Taylor Maritime, who are entrusting their shipmanagement to another start-up, Langton Shipping, Hong Kong is seeing a new breed of shipping company to add to the established names. Why do shipowners, particularly start-ups, continue to choose Hong Kong? In the case of the companies mentioned above, it is in part because Hong Kong is ‘home’. All the founders are long term residents who see the city not just as a vibrant hub located at the heart of the world’s most dynamic region, but also a great place to live – friendly, safe, dynamic and whilst Hong Kong certainly has some issues, it is generally devoid of the prejudices and problems that affect many other cities. There is of course much more to it than that. The fact that all these new companies raised most of their equity in Hong Kong shows that the entrepreneurial instincts which gave rise to the likes of Pacific Basin in the ‘80s are alive and well. Hong Kong’s vitality and the ability for people to build extensive networks both inside and outside the shipping industry mean that there are always people willing to listen to a well structured proposal. Despite the turbulence of the last few years, Hong Kong has maintained a strong core of shipowners, and with it the top quality shipping services which exist in a symbiotic relationship. One only needs to look at the directory of members of the Hong Kong Shipowners Association to see the depth of expertise which exists here and which makes it so straightforward to do business. Whether it be the corporate services to set up a company, the best dispute resolution services in Asia, financial, broking and insurance services made up of both global and local companies, you don’t need to go outside the city for anything. Criticism of the government for not doing enough for shipping is unjustified. Sure, a closer working relationship would be good, and moves are being made in that direction, but Hong Kong remains a business friendly city with government acting as a facilitator and connector, not a provider of incentives and subsidies. Hong Kong’s obituary has been written countless times, but the city always bounces back and reinvents itself. 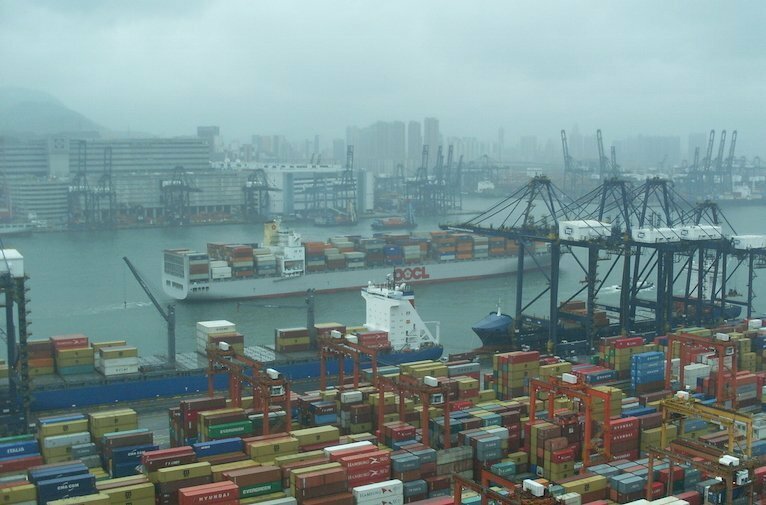 For decades the shipping industry has been at the core of Hong Kong life and remains one of the most globally recognised examples of ‘The Hong Kong Advantage’. There is no doubt it will continue to remain so into the future. This article first appeared in the recent published Splash Hong Kong magazine. Splash readers can access the full issue for free online by clicking here.